The work which identifies the mechanism of silver atoms, applications in lighting, taking photos and doing therapies has just been published by Science magazine. 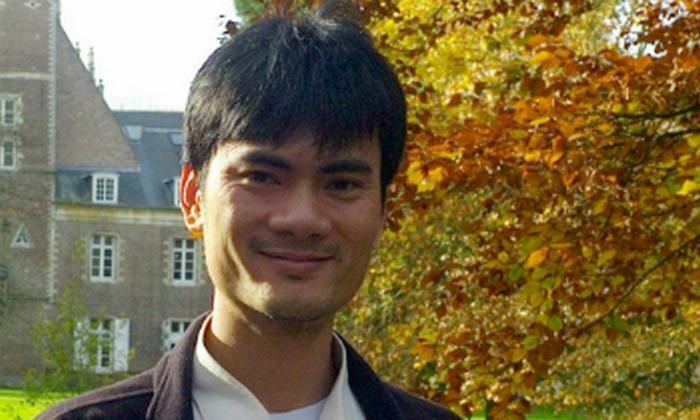 In the list of 13 authors whose works were published by the US Department of Science on August 17, Dr. Ngo Tuan Cuong, 38, a lecturer in the Faculty of Chemistry, Hanoi National University of Education, ranked third subsequent to two scientists from the University of Leuven (Belgium). The rest comes from the research institutes of Belgium, France and Italy. The authors' work on "silver luminescence bursting" has implications for the choice of silver materials for lighting, imaging and therapy. In this work, Dr. Cuong has worked on the implementation of simulation methods to optimize the structure of materials, calculate the absorption spectra and fluorescence emission spectrum. This simulation was compared with the experimental results that foreign colleagues have studied, thus confirming the detailed structure and mechanisms of fluorescent emission of the material. Dr. Ngo Tuan Cuong, photo by NVCC. Sharing with VnExpress, Dr. Cuong said he was happy when his research was published in an international prestigious magazine. This result motivated him to pursue further research in gold, silver and copper. The work was carried out by Dr. Cuong with international scientists while he was a PhD student with Quantum Chemistry team, Faculty of Chemistry, University of Leuven (Belgium). His work started in 2011 and since then the team has continued to exchange and calculate to get the final result. Dr. Cuong has been involved in 19 works published in international magazines and nearly 20 published works in the country. He is also the author of several books on General Chemistry. Science is a scientific journal of the American Association for the Advancement of Science (AAAS). It is considered one of the most prestigious scientific journals. This journal has a rigorous peer review process because 90-95% of the drafts submitted are rejected after the review process. The impact factor (IF) of Science in 2014 was 33,611 (according to Thomson ISI).